The leaders of Connecticut's two federally recognized tribes tried to assure state lawmakers Tuesday that they remain committed to opening their Tribal Winds casino near the Massachusetts state line, despite lengthy delays in obtaining final federal approval. 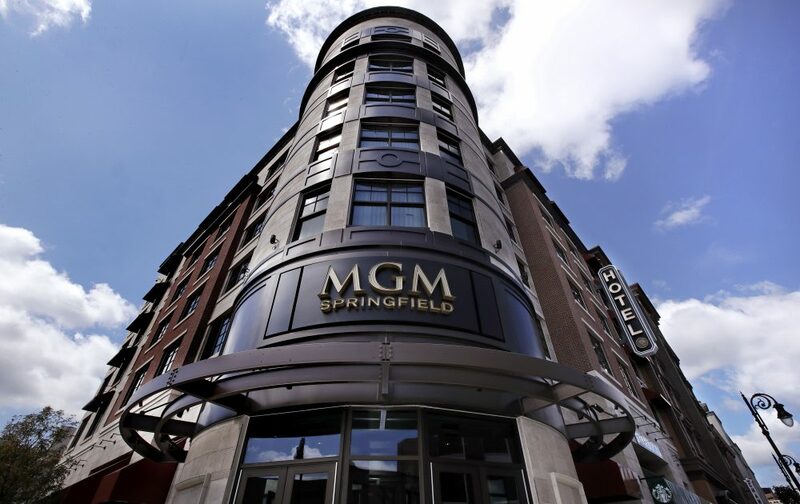 The project has been billed as a way to help the tribes' existing Connecticut casinos compete with MGM Resorts' new casino in Springfield, Massachusetts. Mashantucket Pequot Tribal Chairman Rodney Butler and Mohegan Tribal Chairman Kevin Brown said the tribes have spent about $14 million so far on the project. The site for the $300 million East Windsor project along I-91 has been purchased and cleared; most state and local approvals have been obtained; and a project labor agreement has been reached with construction unions. MMCT Venture, the development company formed by the two tribes, is now awaiting the final OK from the federal government, or the passage of proposed state legislation that would eliminate the need for federal authorization. "We understand there are skeptics out there," Butler told members of the General Assembly's Public Safety and Security Committee. "The fact is Tribal Winds is a shovel-ready project that will create much-needed jobs and revenues for our state as soon as we are approved to break ground." Tribal leaders had originally hoped to open the jointly owned and operated satellite casino before MGM opened its doors last August, but their plans were stymied by the U.S. Department of Interior, which refused to sign off on an amended revenue-sharing agreement between the state and the tribes. A federal investigation into former Interior Secretary Ryan Zinke and his agency's handling of the matter is underway. Both Butler and Brown said Tuesday they believe heavy lobbying by MGM is to blame for the lack of federal approvals so far. A message was left seeking comment with an MGM representative. Despite the tribes' assurances they're ready to begin construction, interest remains among some lawmakers to allow casinos elsewhere in Connecticut, including the state's most populous city of Bridgeport. MGM on Tuesday reiterated that call, urging state lawmakers to "move beyond the back-and-forth of the past few years and establish an open, competitive bidding process for a commercial casino." MGM has said it wants to open a casino complex in Bridgeport. The Mashantucket and Mohegan tribal leaders reiterated that they would like to open a casino in Bridgeport as well. They currently hold exclusive rights to casino gambling in Connecticut, in exchange for providing the state with 25 percent of the slot machine revenues at their existing Foxwoods Resort Casino and Mohegan Sun facilities. That agreement would be breached if the state allowed an outside entity such as MGM to open a private casino.